My love for the church has deep roots. I have been a part of a community of believers since before I was born! My mother’s family didn’t go to church, in fact they were hostile toward the church. When mom came to faith in Christ as a teenager, she began to pray for God to give her a husband who would take her and their children to church. God answered that prayer and my parents gave me the gift of the church. I have been going to church now for almost sixty years and have been part of seven different churches as I have moved over those years. I have been a part of my current church now for 27 years. From birth through this season of life, the church is still the central place of community, ministry, service, and support in my life and the life of our family. You need community with other believers. The church is family. They are your brothers and sisters in Christ. It is a place to encourage and a place to be encouraged. A place to share the joys and the pains of life. A people to pray for and a people to pray for you. A place of unity of faith and unity of worship. Like family, the church isn’t perfect but together we grow in grace and truth, being transformed to be more like Christ. You need to use your gifts in the church. The church is made up of a beautiful mix of diversity of people. It is a mix of ages, race, families, faith stories, abilities, experiences, and passions. Your gifts are important to the church and add to the unity of the church working together. The church isn’t a place for passive living but a call to actively engage using your gifts to build others up. You need to disciple others in the faith. The church provides you the place to develop others in their faith. This happens through a variety of ways but mostly through you directly pouring into others. In your church now, there are men, women, teenagers, children, young adults, single moms, elderly men, widowed ladies who you can directly minister to, serve, teach, and encourage in their faith. You pouring into others will help grow your own faith. You need to live sent. The church calls us to live our lives on purpose and on mission sharing the truth of Christ with others. There is nothing more life-giving than living beyond yourself. As we go, we share. When we go, we share. The gospel compels us to go. Being a part of a church on mission will open your eyes to see and love the world. 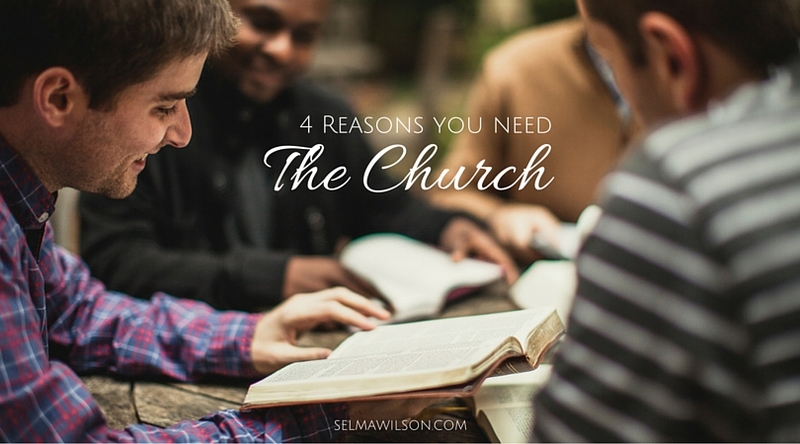 The church matters to your life, leadership, and family. You need the church and the church needs you. How has the church been significant in your life?